Ask fellow campers about "Delta Village RV Park" and nearby attractions. Where do I begin? We were trying to get home to central Florida after getting stuck in San Antonio by Hurricane Harvey. We were looking for something in the Greenville, MS area that was near a highway, and at least a half way decent park. There are several State parks that had excellent ratings, but too far off the path or in the wrong direction for us. I called up this Park because their website does mention that they have Rv sites along with mobile homes. 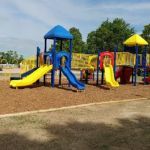 Since Florida is snowbird country, we have quite a few of those types of parks, so we kind of went there with a preconceived notion of what to expect. Boy, were we wrong! First, I would have to go count, but I don't think there are 15 sites in here, and even if there were, only two of them were available. I would say at least 75 percent of them are filled with long term renters. The RV parking is a row of back in sites on a dead end Street behind the office. I think the only reason the site we chose was available was because others could not maneuver around the electric pole that was at the edge of the "Road", kitty corner from the site. I think the office person lied to me about bathrooms being available because we couldn't locate any. The asphalt in the other available was all torn up and crumbling, so that left us with the site we chose. It was paved but not very well. 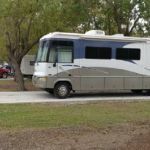 We camped at Delta Village RV Park in a Travel Trailer. My tip would be to have a backup campground in mind. Wow! Not sure why you would rate our lovely community in such a way. Not sure where to begin either... Such judgments in you your statements are not only wrong but pure speculation. There ARE 15 dedicated RV sites on our RV row. Only 2 of them are long term, one of them is set up for the out of state owner (me) to stay while in town. I personally have had my 40 diesel pusher there many times and have no problem backing in. It would be nice to have pull through but I did not design or build the community. We would never lie about our restrooms with showers and they are very nice and located right in front of the RV row facing the RV'ers behind our state of the art laundry mat. Yes mam, the nicer sites usually go first, as you saw, we have been pouring new 16'x50' cement pads and hopefully will have them all completed soon. I am posting pictures of our RV Row, bathrooms, Laundry Mat. So sorry we did not live up to your strict guidlines. We wish you the best and safe travels. Blessings! 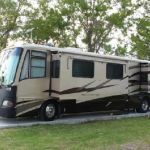 Are you affiliated with Delta Village RV Park ?